Honolulu Police Tell Medical Marijuana Patients to Surrender Their Guns . The Honolulu Police Department has sent letters to medical marijuana patients in the area ordering them to "voluntarily surrender" their firearms because they use marijuana. The letters give patients 30 days to give their guns and ammo to the Honolulu Police. While federal law prohibits acknowledged marijuana users from owning firearms, this is believed to be the first instance of local law enforcement proactively seeking out patients and ordering them to surrender their weapons. Indiana Governor Orders Stores to Pull CBD Oil From Shelves . Gov. Eric Holcomb (R) has given stores 60 days to remove CBD cannabis oil products from their shelves after state Attorney General Curtis Hill (R) delivered an opinion that such substances are illegal under state and federal law. The only exception is for people with epilepsy who are on a state registry. Philadelphia Begins Paying Out for Narcotics Agents' Misconduct . The city of Philadelphia has begun settling more than 300 lawsuits filed against members of a narcotics squad accused of a pattern of rampant misconduct lasting years. The city has already paid more than $2 million to settle 75 cases after courts began throwing out convictions in tainted cases three years ago. The city could pay up to an additional $8 million to resolve pending complaints. Five of the six officers involved were found not guilty of criminal charges last year, but that hasn't stopped the settlements from occurring. Canada House of Commons Approves Marijuana Legalization Bill . 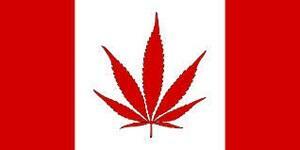 The House of Commons voted 200 to 82 Monday night to approve the Liberal government's marijuana legalization bill, C-45 . The bill now goes to the Senate, where opponents could try to derail it. Stay tuned. British Parliament Drug Policy Group Calls for Safe Injection Sites . The Drugs, Alcohol and Justice Cross-Party Parliamentary Group has issued a report calling for the establishment of drug consumption rooms. The report charges that existing prohibitionist policies are failing communities and society's most vulnerable and suggests that London could learn a lesson from Dublin and Glasgow, where such facilities have been approved. The Duterte Cancer Spreads to Malaysia . Malaysian Member of Parliament Bung Moktar Radin has embraced Philippines President Rodrigo Duterte's murderous crackdown on drug users and sellers and urged his own country to emulate it. "I am very serious about this. Just shoot them, like they do in the Philippines," he said, praising the Philippines approach. "Why can't we do this? Jail addicts without trial and shoot dealers. What is the problem (in doing this)?"